I don’t have the courage to scale mountains, but I am fascinated by the preparations of the climbers. They make a plan for their ascent and carefully assemble the equipment that will be needed. Each piece of gear is carefully selected, and tested to ensure it is strong in the event that it is needed to save a life. 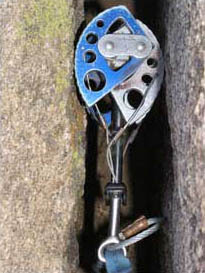 As the climbers prepare to set out, they attach the “camming devices” to their belts, always making sure they have enough for a safe climb. These climbing cams are lifesavers for the climbers. They are jammed into cracks in the rocks and will hold firm under heavy pressure from the ropes. In the event of a slip, they prevent the climber from falling too far, ensuring that they do not tumble to the bottom. People in recovery need to have their own climbing cams, mechanisms that will keep them from falling too far if they relapse. A careful plan is needed so that a slip does not translate into a descent into the black hole of addiction. Too often people in recovery, and the professionals helping them, want to avoid thinking and talking about relapse. The consequence is that there are no safeguards in place to stop a fall, and get the recovering addict or alcoholic back on track. The frequent pattern for relapse is that everyone backs away, allowing the feelings of shame and guilt to drag the addicted person into a rapid, downward spiral. A relapse plan needs to begin by remembering that when addictive behavior returns, so will the accompanying symptoms of denial, minimization and rationalization. These patterns of addiction must be quickly shattered. It is important to have numerous “supporters” built into the plan — people who are ready to act fast to challenge the inappropriate behavior and strive to stop it. Consider the plan that Debbie prepared in case she relapsed. Step #1 was the discussion that Debbie had with her parents. If they thought she was using they were to immediately require that she take a drug test with the understanding that she must leave home if she failed or refused. They were to take away the car they had given her and stop all financial support. She also gave them permission to call her counselor, sponsor and best friend. Step #2 was a request that her sponsor confront her with an intervention by other people in recovery. “Remind me of where my addiction will take me and challenge my “stinking thinking,” she advised. Debbie has not had to use her relapse plan, but she feels more confident knowing that it is in place — and ready to catch her if she stumbles. Everyone in recovery needs to have a relapse plan. Hopefully it will never be needed, but if it does, it could end up saving a life. The goal of the plan is much like the goal of the climber’s camming device. 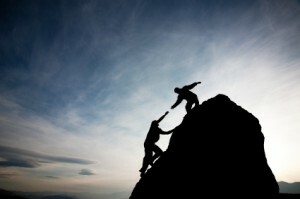 It stops the fall quickly, before anyone gets badly hurt, and enables the climber to start moving forward again. And as everyone in recovery knows, if you don’t keep moving forward, you are just waiting to fall.